This post was sponsored by Lowe’s Home Improvement. In the past few years, it’s been so gratifying to see the occasion of International Women’s Day used to increase awareness and action for issues effecting the female population. And, as you may not be surprised to learn, one issue close to my heart is women’s access to safe, affordable, and welcoming homes where they can thrive! Because a higher percentage of women than men live in poverty, women and their children are more likely to face dangerous living conditions such as lack of adequate heating, water, electricity, security, or bathroom facilities. I fully support any initiative that addresses this fundamental imbalance and fosters healthy, happy living conditions for women. 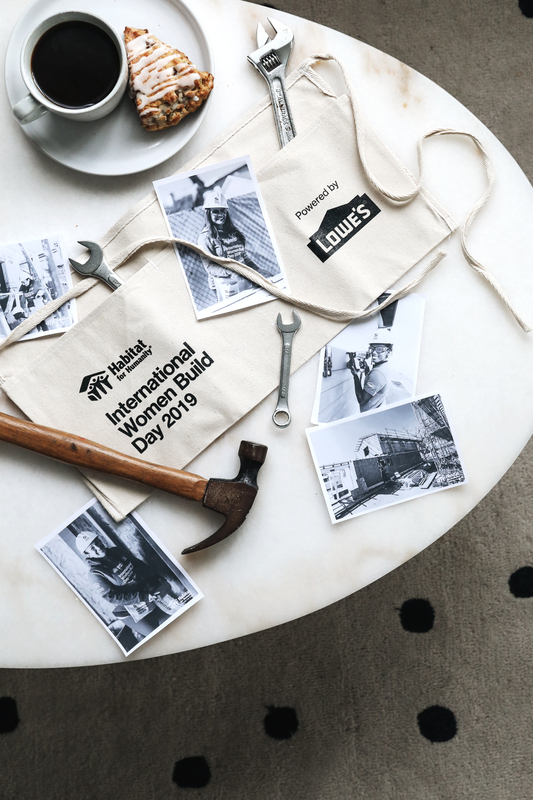 So earlier this month, I was thrilled to participate in Women’s International Build Day, a shared initiative between Habitat for Humanity and Lowe’s that does exactly that! 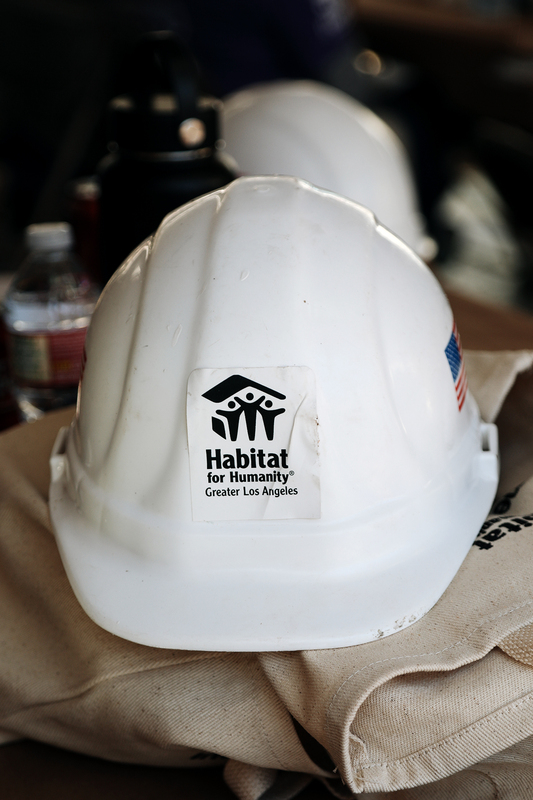 I’ve long admired Habitat for Humanity’s mission of using volunteer labor and donated building materials to create sustainable and affordable homes around the world. I’ve even participated in a Habitat build before! But I was particularly excited to learn of the female empowerment focus of International Women Build Day, which highlights the achievements of Habitat’s Women Build program—a series of year-round events in which any woman who wants to learn to build a home is invited to do so under the guidance of construction professionals. And I was especially touched to learn of Lowe’s pivotal involvement in making International Women Build Day happen! 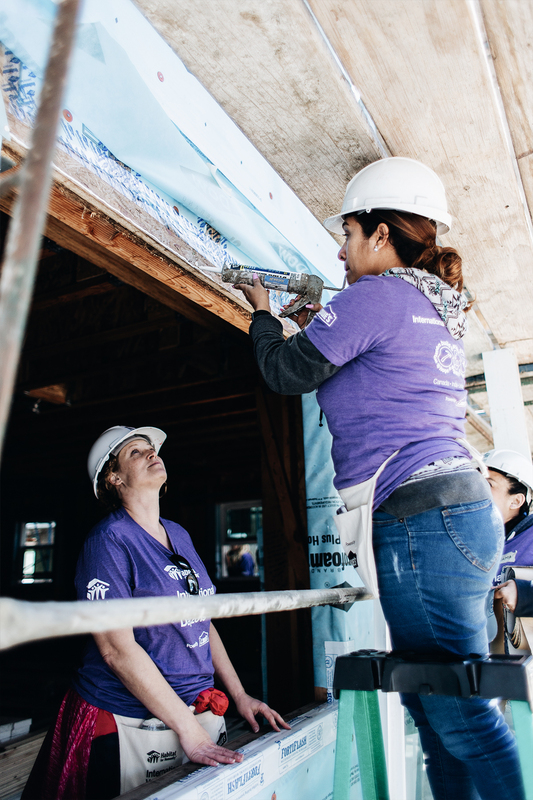 Since the event’s 2003 founding, Lowe’s has provided over $65 million in funding, resulting in Habitat’s building of 5290 homes for low-income families in 18 communities around the world. 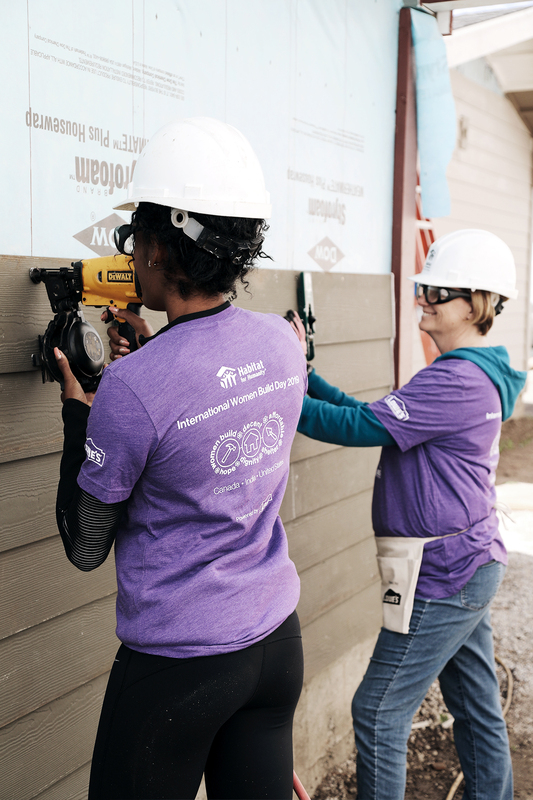 This year alone, Lowe’s donated more than $1.4 million to support Habitat for Humanity builds on International Women’s Day! 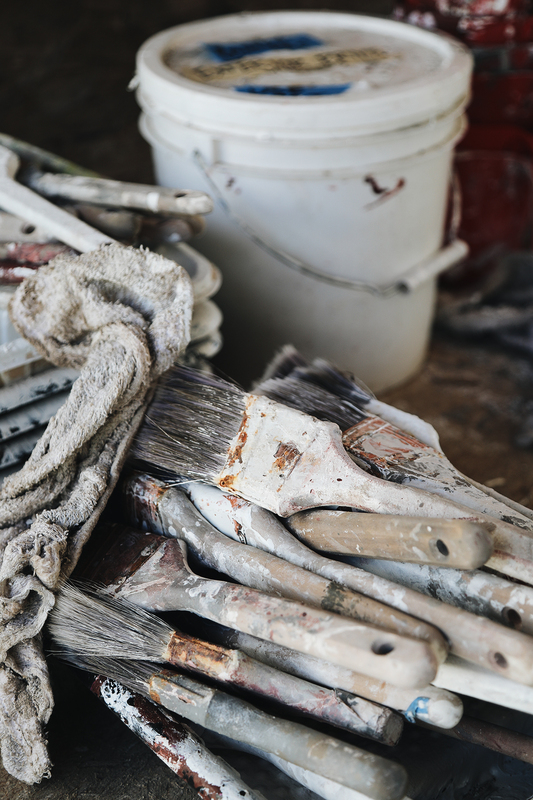 As well, Lowe’s provides skilled volunteer labor through their Lowe’s Heroes program, which provides their employees with paid time off to volunteer in support of nonprofit organizations. It’s all-too-rare these days to see such a large company with that level of commitment to corporate responsibility, as well as to the camaraderie and morale of its employees. At the specific build I visited here in LA, six single-family houses and two duplexes were under construction on land donated by the city. More than 40 Lowe’s employees were on site, hard at work when I arrived! 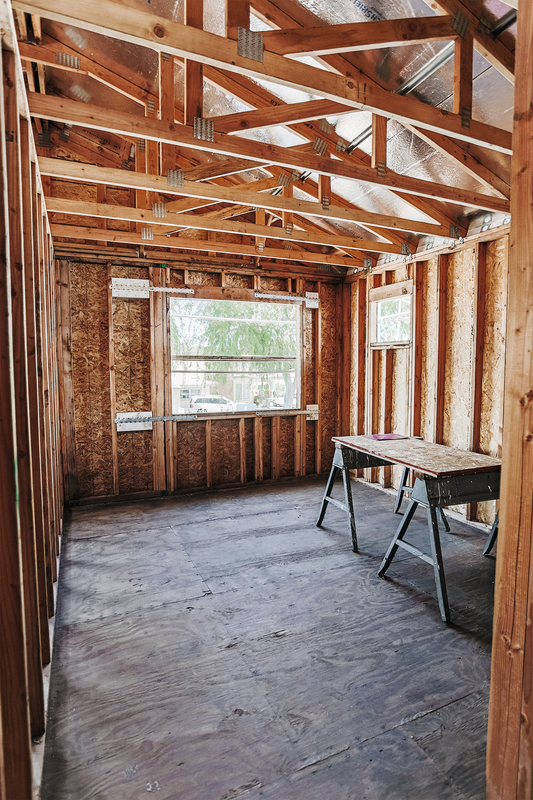 Scheduled for completion at the end of 2019, the properties will soon welcome a single father and a working family with parents employed by UCLA, among others. Seeing the build site and learning more about the people who would soon take residence there really cemented for me the challenge in today’s climate of affording housing—even when all family members of working age are contributing financially. Habitat for Humanity makes the American dream of owning a home a reality for so many who might never otherwise realize it! It was inspiring and invigorating to see women joining hands in service of their community. My favorite part of the day, though, was hearing from one of the partner families who will soon be purchasing a Habitat for Humanity home! 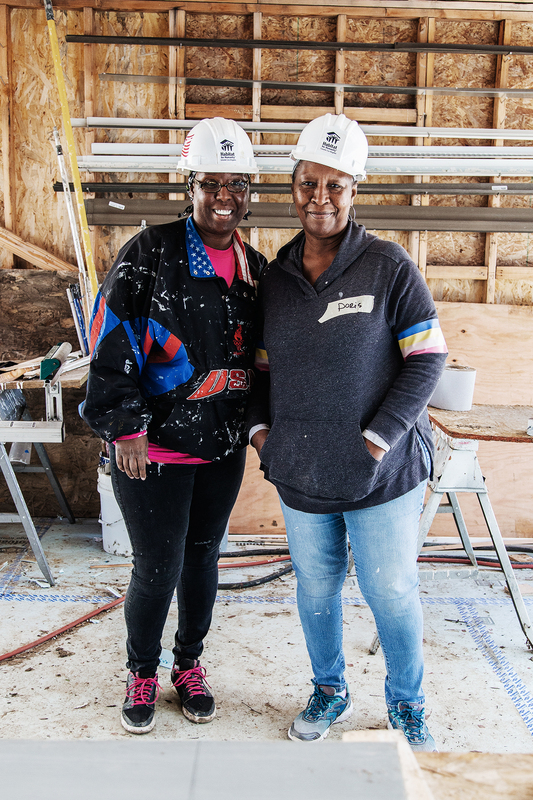 Doris and her daughter Sandra attended the build as part of their “sweat equity” hours—the 500 hours of volunteer work required of everyone who purchases a Habitat residence. They shared how Doris lost her previous dwelling and her life savings to medical bills when Sandra was partially blinded in an accident.